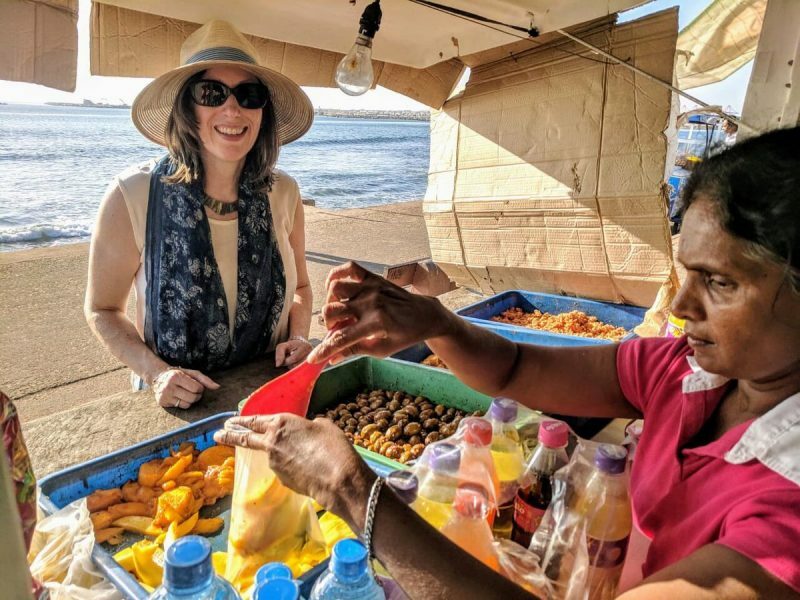 March 17, 2019 (LBO) – Sri Lanka’s most prominent foreign envoy, United States Ambassador Alaina Teplitz has taken the time to sample Sri Lankan street food on Galle Face Green. The Ambassador tweeted about her experience which generated the whole gamut of responses. Some hailed her for her down to earth adventurous spirt for sampling street food.